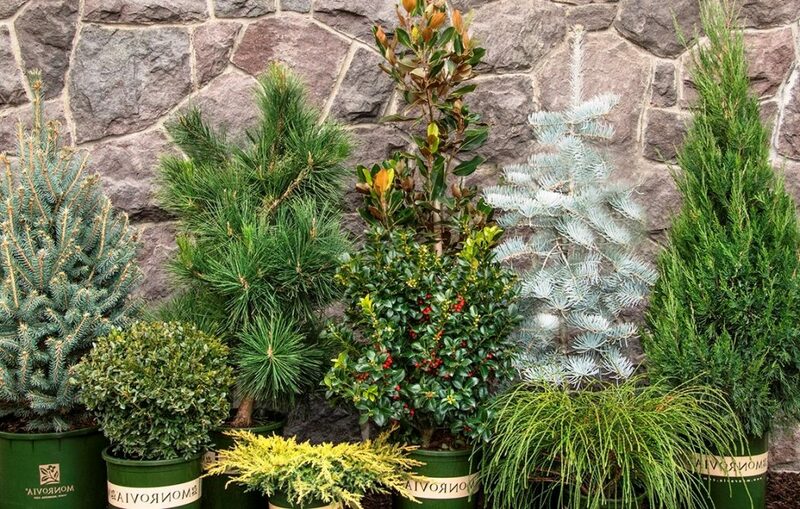 Winter is the season to plant evergreens that look good no matter the weather. Local evergreens brighten our winter landscapes, and they prefer being planted during the colder months. If your landscape needs more green showing through that rock lawn, then here’s the list for you. Golden Mop Threadleaf False – ground-hugging little conifer loves full sun. Its golden color adds a Midas touch to wreaths and garlands. Majestic Beauty Japanese Black Pine – fast growing conifer with extremely dark green foliage. 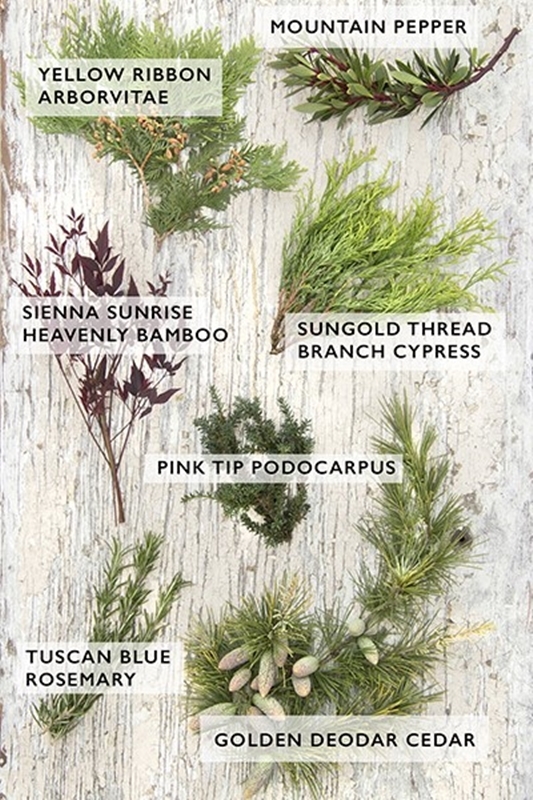 Bunches of its needles deliver a striking touch to a table runner of evergreens. Colorado Blue Spruce – rigid, tiered branches densely covered with stiff gray-blue needles. Good for wreaths, really effective just alone in a vase. Little Gem Dwarf Southern Magnolia – smaller in scale than other Southern magnolias but with the same fragrant blooms. Makes a seriously elegant garland. Only evergreen magnolia that grows in mountains of Arizona. Emerald Isle Leyland Cypress – tall and narrow, perfect for a high screen. Soft texture makes it one of the best conifers for a mixed evergreen wreath. Whipcord Western Red Cedar – whimsical yet stately effect when planted in mass. Let branches spill over the sides of a vase of red roses for an unforgettable bouquet. Castle Spire Blue Holly – seasonal wreaths, trimming packages, napkin rings, and dressing the holiday table. Every garden needs a holly for its year-round good looks. Yellow Ribbon Arborvitae – tall and narrow, think flanking gold evergreens on either side of the front door. Also, good foliage for winter window boxes. Mountain Pepper – deep green foliage, red stems, white flowers, plus edible berries and leaves. Ideal for tucking into ready-made wreaths for additional fullness and color. Sienna Sunrise Heavenly Bamboo – nandinas are easy and fuss-free, adding year-round color to borders. Add red-hued new foliage to a vase of white flowers. Sungold Thread-Branch Cypress – soft and mounding form makes a sweet little hedge. Mix with branches of winterberries in a silvery vase. Pink Tip Podocarpus – yes, new tips are pink. 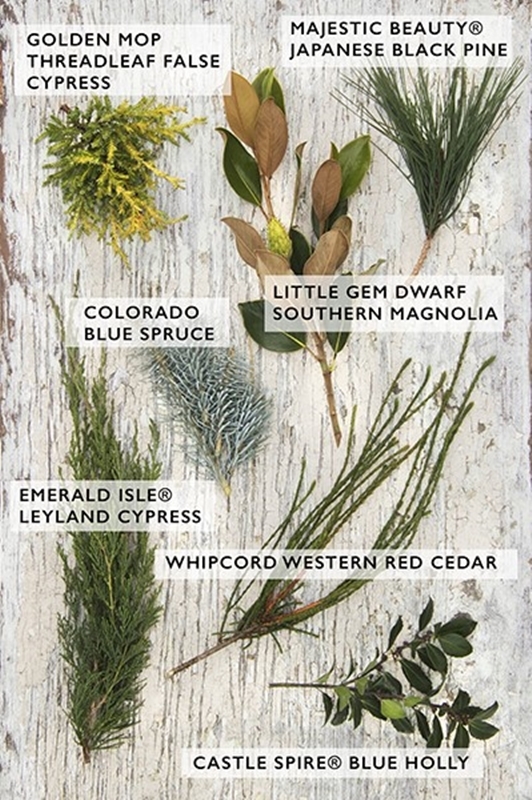 Snipped branches add texture to wreaths. Often overlooked option for a low hedge or ground cover. Tuscan Blue Rosemary – in warmer zones rosemary is looking fat and sassy this time of year. Pliable stems just beg to be turned into little wreaths. Golden Deodar Cedar – look at those nearly glowing cones. Need more be said? Specimen tree adds striking element to landscapes. Watters Planting Crews are ready to help. It’s cold outside, but that doesn’t keep our crews from installing evergreens in customers’ yards! With our 2-year planting guarantee, you never have to worry if your winter evergreens are going to make it through a winter’s cold. 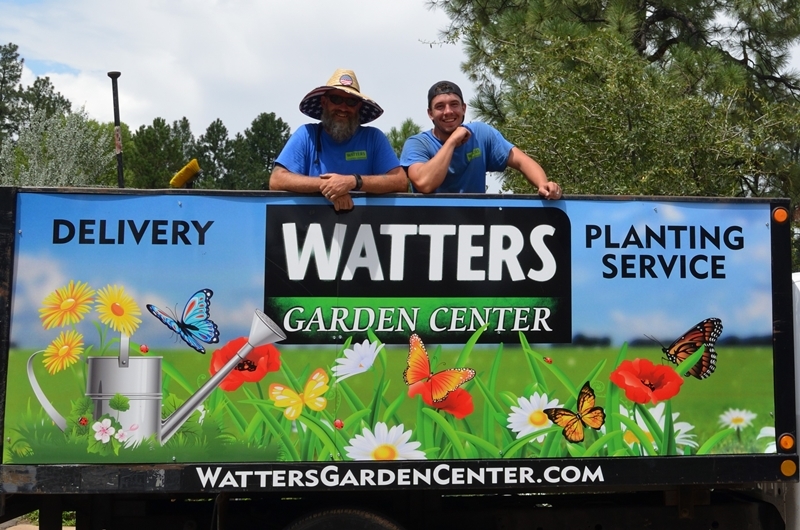 Until next issue, I’ll be helping friends choose the perfect evergreens here at Watters Garden Center.